Take your off-duty look to the next level with this simple t-shirt. Featuring a white fabric with a PrettyLittlleThing slogan, cropped length and short sleeves, what's not to love? 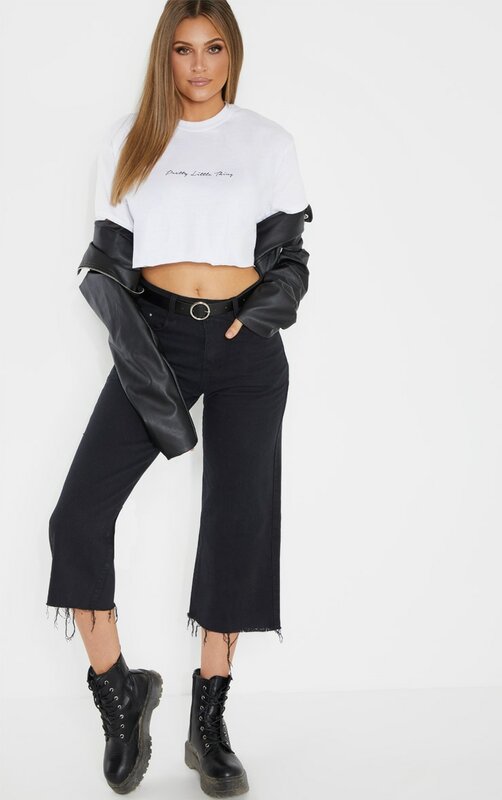 Style with black denim culottes and chunky lace up boots for a casual style.